Tailored plain dark grey school trousers or dark grey pleated skirt which must be of an appropriate length. One simple black belt if needed. (Unacceptable trousers include those wider than shoes, skinny trousers, jeans, chino style trousers and those with large exposed buttons or zips.) Parents are advised to purchase these items in the darkest grey colour they can find. Whilst we understand that retailers label their greys differently, eg. Retailer A’s “charcoal grey” may be the same colour as Retailer B’s “dark grey”, the safest option will be to go by the colour. 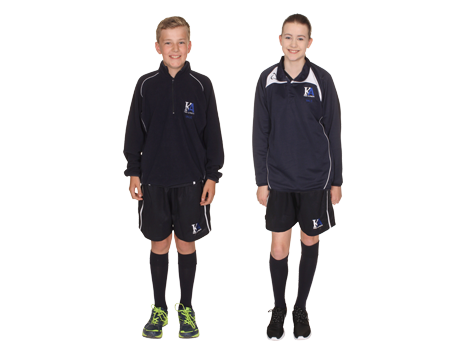 For further guidance, PMG Schoolwear feature these items on the King Alfred’s section of their website www.pmgschoolwear.co.uk where the correct colour is shown. Clip on King Alfred’s Academy tie, with House Colour embroidered on the logo (also compulsory and available from PMG Schoolwear). An optional plain navy V-neck jumper to be worn under the blazer. Plain black shoes with heels of a suitable height (No platform heels, sandals, backless or strapless shoes, boots, training shoes or canvas pumps). Black, navy, white or grey socks or black, navy or grey plain tights. Coats are needed in cold weather. These should be without inappropriate logos and design features and should preferably be plain. Any logo should be small and discreet. Non-uniform hoodies, denim or leather jackets and any other inappropriate or non-weatherproof coats are not permitted. All outdoor clothing (coats, gloves, scarves, etc.) should be removed on entering the building. 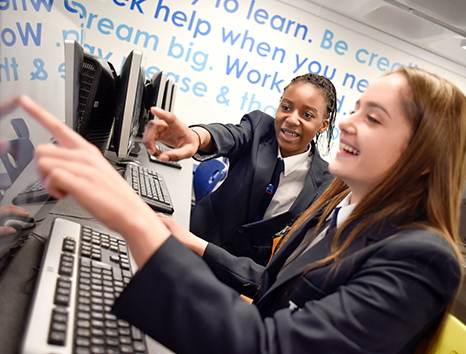 The pre-badged blazer and the King Alfred’s tie are the only compulsory items and they can be bought from the Academy’s uniform supplier, PMG Schoolwear. 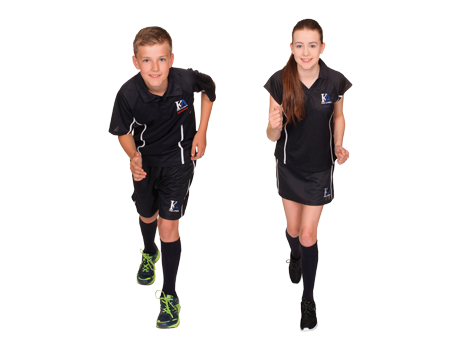 All other items may be bought from a variety of retail outlets, although PMG Schoolwear can supply approved versions of all the above garments. This is in line with other schools and DfE recommendations. Financial help may be available (via the King Alfred’s Education Charity) towards the cost of purchasing uniform. 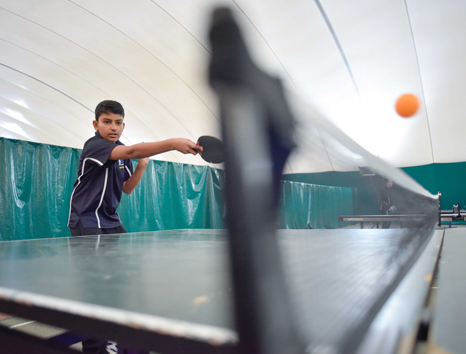 Any requests can be made (in confidence), through the Student Manager for your child’s year group. Years 7-8 are allowed a watch and one small plain stud in each ear lobe only – no other studs are allowed. Years 9-11 are allowed as above plus one ring and one bracelet. No face or body piercing. One simple black belt only, if worn. 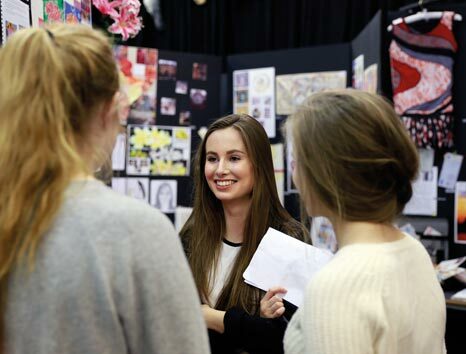 No make-up should be worn in Years 7 and 8. Make-up worn by girls in Year 9 and above should be subtle. Students with excessive amounts of make up on will be asked to remove it. No nail varnish. Hair should be of a sensible length, style and colour (at the discretion of the academy). Extremely short razor lines cut into the hair, non-natural colours, fully or partially shaved hair, or excessive hair gel are unacceptable. Students need a rucksack style bag large enough to carry A4 books and files. ‘Just Do It’ bags and drawstring bags are not appropriate. In Year 9 and above suitably large shoulder bags are also acceptable. Handbags and plastic bags are not appropriate. 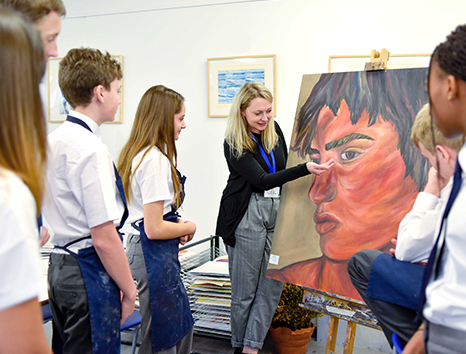 Please note that failure to comply with King Alfred’s Uniform regulations and Dress Code will result in the student working in isolation under the supervision of a senior member of staff until the situation is resolved. If in any doubt about any aspect of the dress code, please ask a Student Manager before committing to a purchase or allowing your child to commit to a change in appearance! Navy blue matching panelled shorts with King Alfred’s logo. A ‘Skort option’ is also available. Plain navy blue (or black) sports socks. For swimming all students will require a swimming costume, a towel and a swimming hat. Boys are not allowed to wear long shorts in the pool and girls must wear a one-piece costume. Football boots are required for activities such as football and rugby. However, we advise that you do not purchase them until your daughter/son is about to begin these activities (PE staff will inform them in advance). Showers after PE are not compulsory as it is assumed that students will shower when they return home in the evening.